The year 1861 divided the nation and a great many men were forced to make the incredibly difficult choice as to which allegiance was strongest in their hearts. Men across the country made their choices for numerous reasons such as devotion to the Union, belief in the Constitution, defense of their State, the support of the peculiar institution, among others. As we look at Jubal A. Early, he represents such a man torn between two allegiances. A man who in 1860-1 argued vehemently against secession in the state of Virginia, yet ended up forsaking his military oaths of defense of the country.1 Here was a man who twice left his comfortable civilian life to take up arms for the Republic; the epitome of the American citizen-soldier so glorified during the Revolutionary War, turning his back on the flag he bravely defended only to raise the flag of the newly founded Confederacy.2 What could make a man trade flags by resigning from one military to join another? Early was raised in the state of Virginia and therefore exposed to slavery throughout his life. Although there is no record of Early himself owning slaves (other than perhaps a servant) his extended family owned numerous slaves as part of their holdings throughout Virginia. He held that the blacks were property and that there could be no abolition of slavery because the Constitution guaranteed to protect an individuals property. “He believed the government established by the Constitution protected liberty and the sanctity of private property, allowing Americans, whether above or below the Mason and Dixon’s Line, to prosper.”3 Along this line of argument he believed that every state had decided for itself whether to be “slave” or “free” at the time of its inception and at the signing of the Constitution there didn’t appear to be any obstinate hurdles regarding the issue of slavery. “Slavery was a domestic institution and should not be subject to interference from the North in the form of ‘moral suasion, legislative enactment, or physical force’.”4 Despite being a centralist in regards to slavery, equally disliking fire-eaters and abolitionists, Early felt that the institution of slavery should not be touched by meddling Northerners. In addition to being a full-time lawyer and part-time soldier, Early also dabbled in the realm of Virginia politics. A Whig for all of his adult life leading up to the Civil War, he was constantly in the minority of Virginian politics dominated by Southern Democrats. “Because Early believed the national government to be a justly formed one, he always had followed (President) Jackson’s recommendation to yield a patriotic submission, even when he disagreed with the ruling party’s programs.”7 Early understood that as a Whig he would forever be in the minority of Southern representation, yet he fought down to his last votes in the Virginia convention against the majority, even in regards to secession. Jubal A. 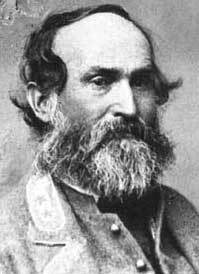 Early began the war as a colonel in the Virginia forces and ended the war a general in the Confederate Army. When asked to choose, he went with his heart and supported his home state of Virginia. He fought in the defense of Virginia as devotedly as he had in defense of the Union earlier in his life. He supported the Constitution and held firmly that Lincoln had violated his rights and those of all Southerners. In the end, the words of Thomas Jefferson may sum up the feelings of Jubal A. Early. “The tree of liberty must be refreshed from time to time with the blood of patriots and tyrants.”16 Early clearly saw Lincoln and Northerners as the tyrants and the good Southern men shedding their blood as the patriots rebelling against an unjust war on Southern cultural and economic identity. He saw the end of slavery as the end of a Southern institution ingrained in society. It was not a good or an evil, only a necessity. Early would fight valiantly throughout the war to defend the Southern society he so cherished, but never forgave the Union for the usurpation of powers that degraded and invalidated the Constitution. After the war he settled in Canada for several years before returning to the United States to live out the remainder of his life arguing in defense of Confederacy. 1 Gary W. Gallagher, Becoming Confederates: Paths to a New National Identity (University of Georgia Press, 2013), 66-67. 5 J. Tracy Power, “Jubal A. Early (1816-1894),” Encyclopedia Virginia (Nov. 29, 2012): http://www.encyclopediavirginia.org/Early_Jubal_A_1816-1894 (Accesses June 6, 2013). 6 Gary W. Gallagher, Becoming Confederates: Paths to a New National Identity (University of Georgia Press, 2013), 61. 16 Thomas Jefferson, Correspondence to William Stephens Smith (Nov. 13, 1787), The Papers of Thomas Jefferson, Julian Boyd, ed., Princeton University Press (1950), 12:356-7. This entry was posted in American History and tagged American Civil War, American History, Confederate States of America, Jubal A. Early, Jubal Early. Bookmark the permalink. Pingback: Welcome to new friends: Erik Randall and Ian Mcdougall – History for Free | Hey Sweetheart, Get Me Rewrite!